ST. GEORGE — A semitrailer going southbound through the roundabout in the Bloomington area of St. George lost its passenger side dual rear wheels at about 3 p.m. today, causing property damage to a nearby Zions Bank building at 144 W. Brigham Road. 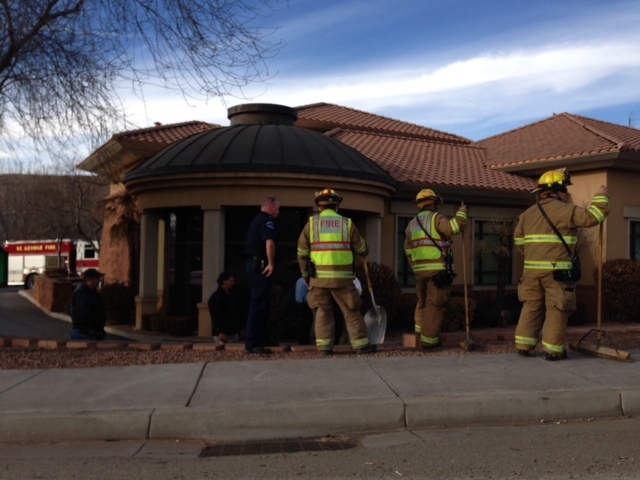 Zions Bank employees were inside the bank when the accident happened. 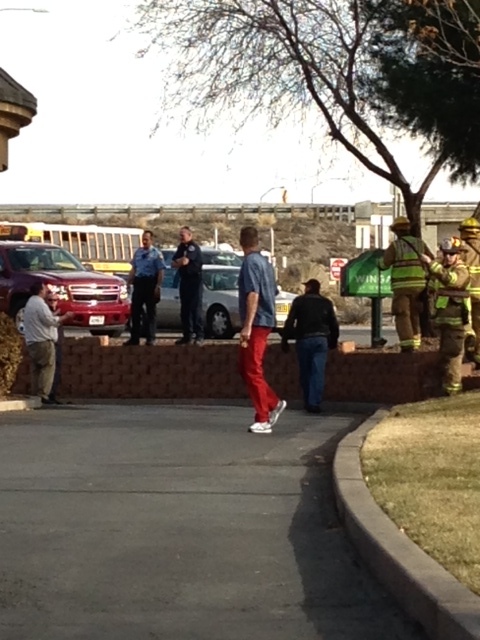 The Financial Center Manager, Clayton R. Denos was sitting in the office and felt the building shake, he said. He walked around to see what had happened and upon entering the conference room he saw that the window had been broken, Denos said. Denos and another teller rolled the wheels out of the way, he said. The tires were reported to be about three to four feet high and very heavy. It looked like the wheels first hit a pillar in front of the bank, then bounced off of that and hit the one window pane in the conference room; there is some damage to the pillar, the window frame and the window itself, Denos said. 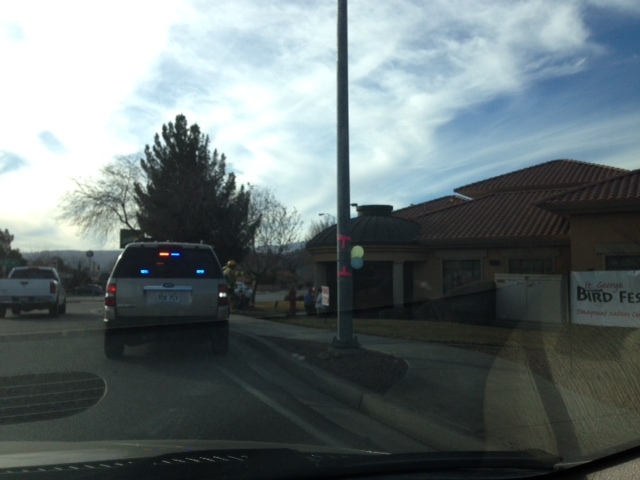 The St. George Police and Fire Department responded to the accident. Truck inspectors at The Utah Highway Patrol are investigating to see why the wheels came off of the truck, Despain said. Seems like the banks are getting hit in more ways than one. Who would have thought that a semi-truck’s wheels wanted a piece of that bank? These pictures are kinda worthless. They’re too dark to see what the damage was or they’re too far away to see anything.